The children, aged between nine and 16, are close friends who developed the device to tackle the issue of water being wasted due to taps being left on as a result of memory loss, dementia, dyslexia or brain injury. Small and inexpensive, the product can fit onto any tap and uses the vibrations of the water with a timer and alarm system to alert the user if the tap is left running. The Highly Commended Award in the BT Young Pioneer Category went to Code Camp, a registered charity that was set up by 16-year-old Mahek Vara to teach computer programming skills to children in developing countries. So far it has reached over 70,000 students in India alone, equipping them with invaluable skills and knowledge. BT’s Connected Society award was won by the Small Robot Company. This company looks to re-imagine farming in the robotic age by using robots to plant, feed, and weed arable crops autonomously. The company is run by farmers, for farmers and has the ambition of providing a global solution for waste which costs the farming industry £80bn a year. The Small Robot Company will benefit from BT’s support and advice from its renowned Infinity Lab Team, who will be helping and mentoring the team. 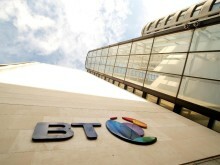 BT Infinity Lab has helped many tech start-ups to take the next steps in growing their business. 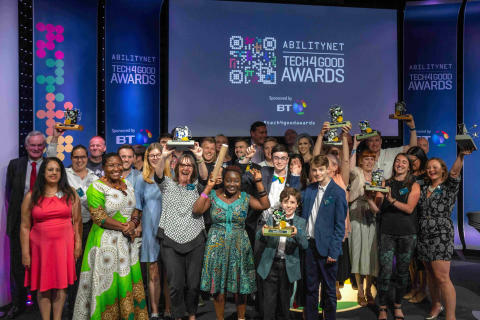 The awards, run by disability charity AbilityNet, is in its eighth year and recognises organisations and individuals who use digital technology to improve lives. As a founding sponsor of the awards, BT recognises the importance of fostering new ideas and technology that improve lives.